Renée stumbled into becoming the leading Lady Gaga tribute artist in 2010 when she entered and won a lookalike contest to win Monster Ball tickets. Her resemblance to Lady Gaga was so uncanny that even the paparazzi were confused. The next day her image appeared on CNN, Inside Edition, Getty Images and much more. Combining her talent making costumes, designing wigs, editing video, acting and singing Renée created her tribute show “The Lady Gaga Experience. Renee’s images have since been confused for the real Lady Gaga in magazines and on DVD covers worldwide. She has since performed as Lady Gaga for thousands all over the world from Israel to China, at Citi Field, and any more. 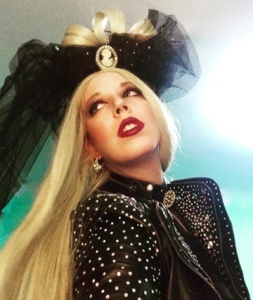 To book Renée as Lady Gaga, visit theladygagaexperience.com.